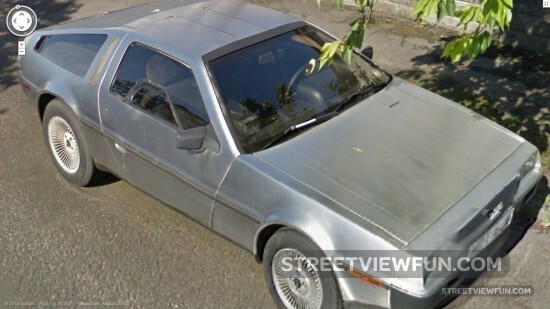 The owner of this rare DeLorean car sent us the Street View image. DeLorean DMC-12 was produced in 1981-82 and has gull wing doors. It was featured as the time machine in the Back to the Future film trilogy.